Attracting media attention is surprisingly easy — you just want it to be the right kind! If an event causes the phone to ring and TV cameras to appear in your lobby, you need confidence that the people who happen to be at your worksite that day are prepared. 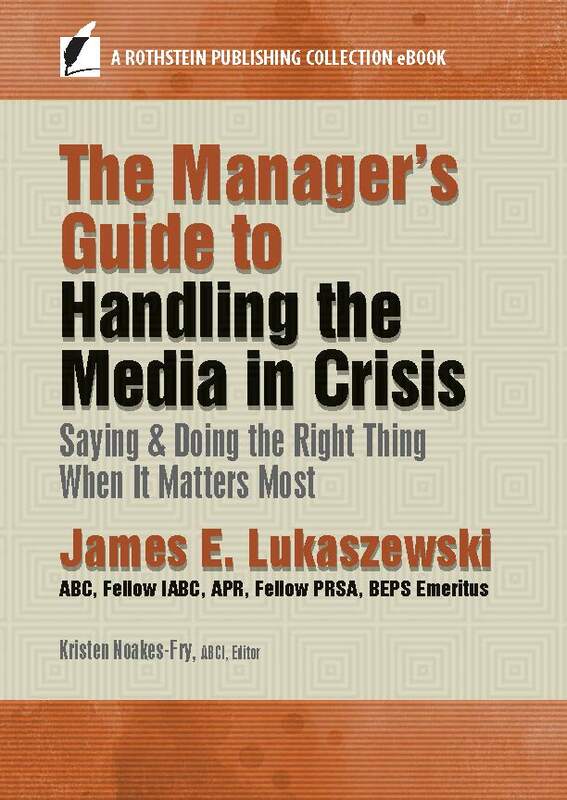 That’s easy if everyone – executives, PR, managers, and employees – is familiar with Jim Lukaszewski’s sure-fire methods for handling the media! As a manager, you’re aware of terrorist acts, are considering the risks, but sense that you need more background. How might terrorism occur? How is it part of risk and threat planning? What insurance strategies might protect your company from financial loss? In a few short chapters, The Manager’s Guide to Terrorism, Risk, and Insurance: Essentials for Today’s Business fills in the blanks for you. Will your supply chain survive the twists and turns of the global economy? Can it deliver mission-critical supplies and services in the face of disaster or other business interruption? A resilient supply chain can do those things and more. In Creating and Maintaining Resilient Supply Chains, global expert Andrew Hiles applies the principles of risk and business continuity to enable a reliable flow of materials and information that is a “win” for everyone involved.